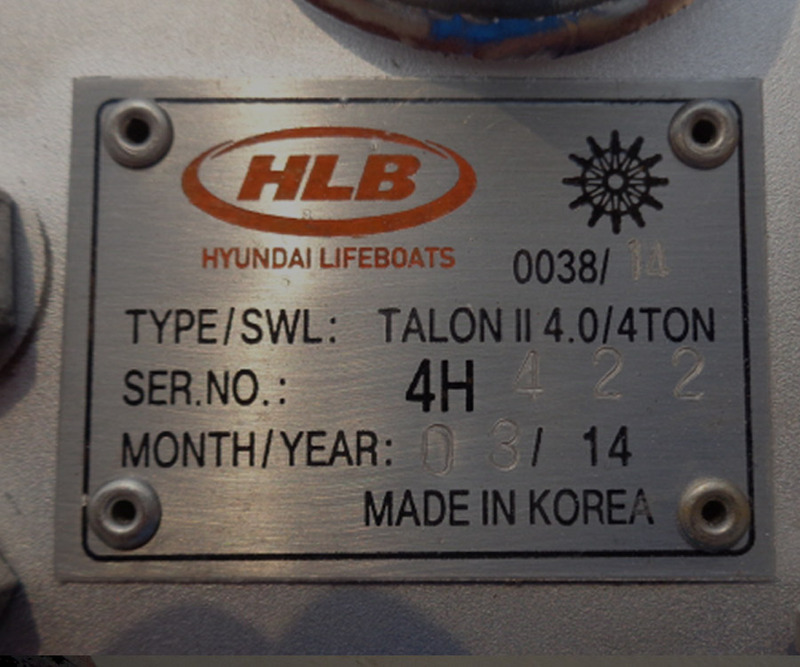 TALON II as second generation release and retrieval systems of HLB and meets all IMO requirements and applicable regulations including MSC 321(89) is best solution for the RRS of lifeboats currently in service that must comply with new regulation MSC.1/Circ.1392 no later than the first scheduled dry-docking after 1st July 2014, but not later than 1st July 2019. 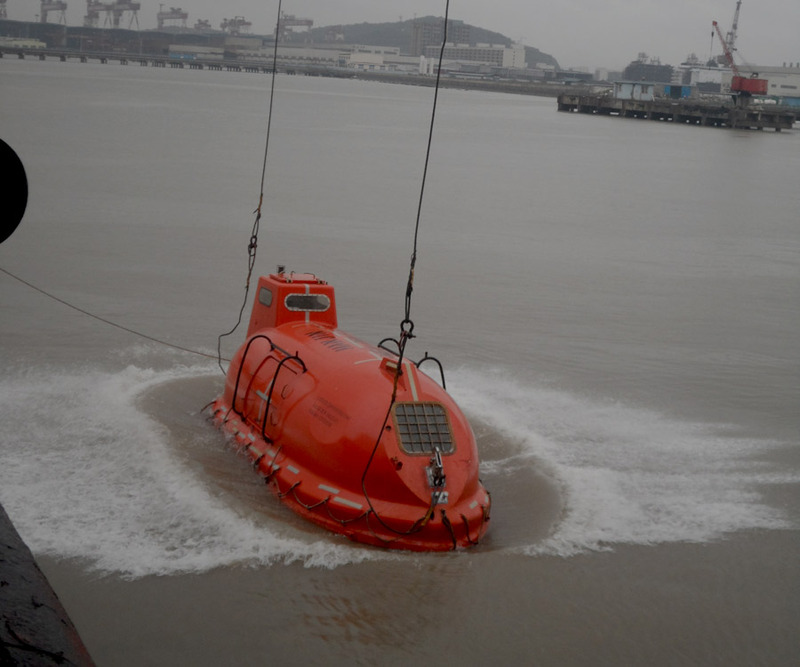 This is issued to certify that replacement of hook has been carried out and test was completed according to MSC 1./Circ. 1392. 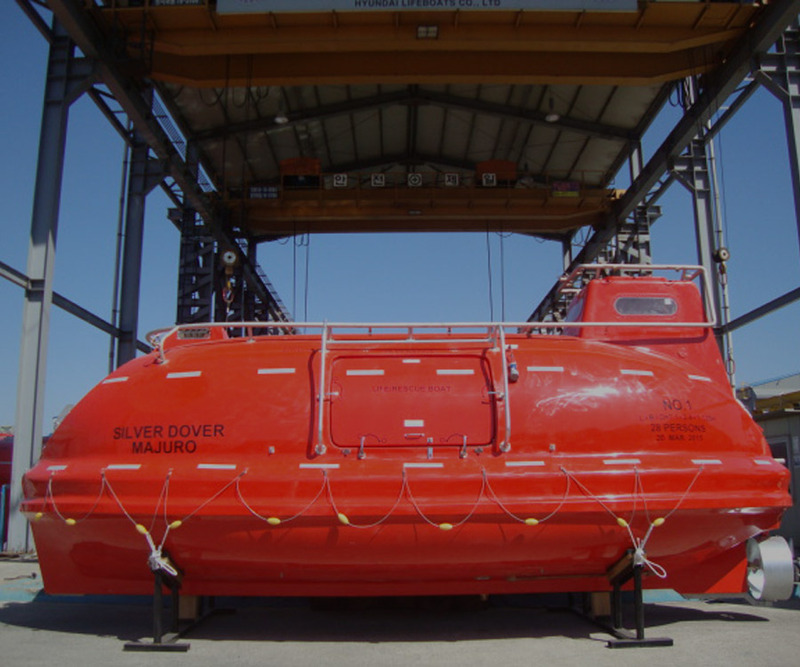 The Round Cam shall be designed so that, when it is fully in the closed position, the weight of the lifeboat dose not cause any force to be transmitted to the operation mechanism. Locking Pin locks the hook against accidental release and makes it ensure that hook reset correctly when inserted. Corrosion-resistant materials such as Duplex stainless steels are used. 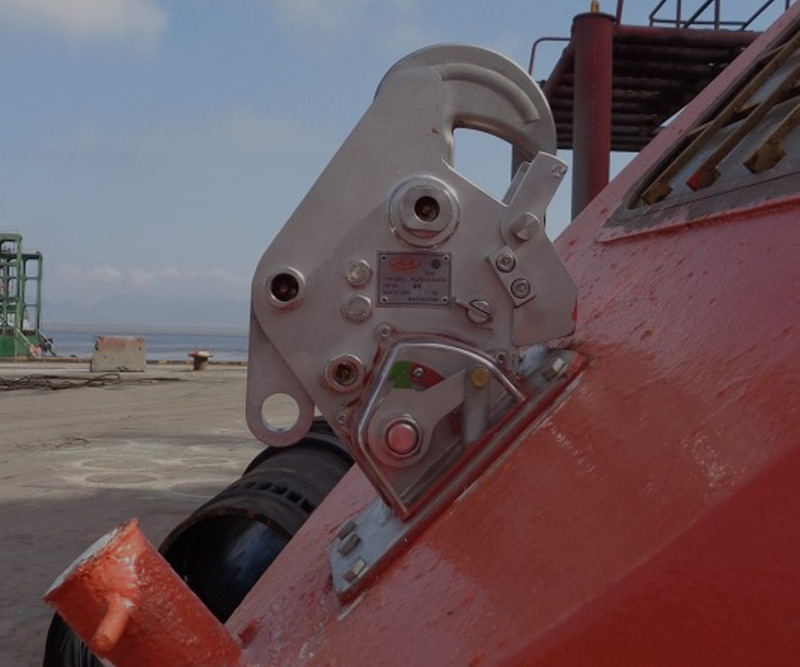 Clearly visible and easily understood indications make the operation with the hooks safe and fast. 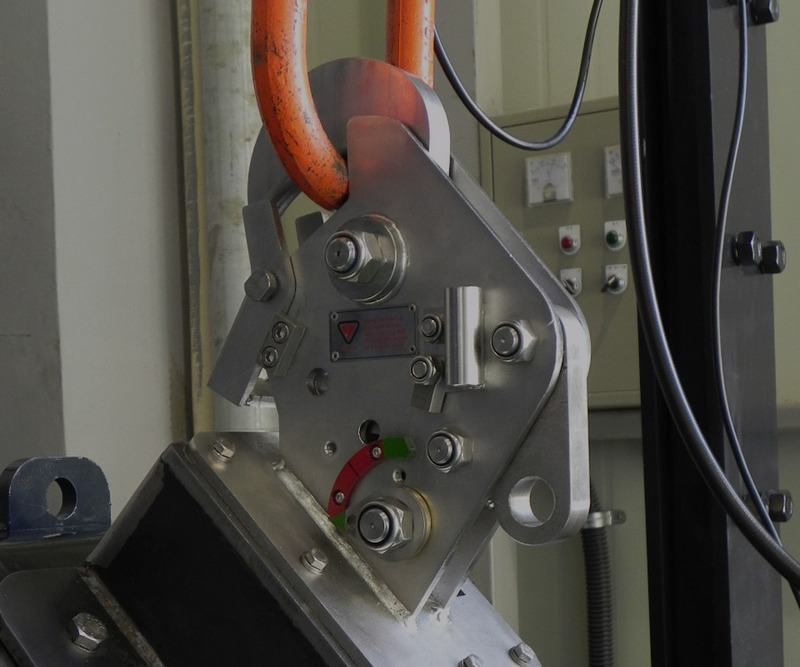 Stainless steel release wire system is closed, watertight and greased for long-term operation. 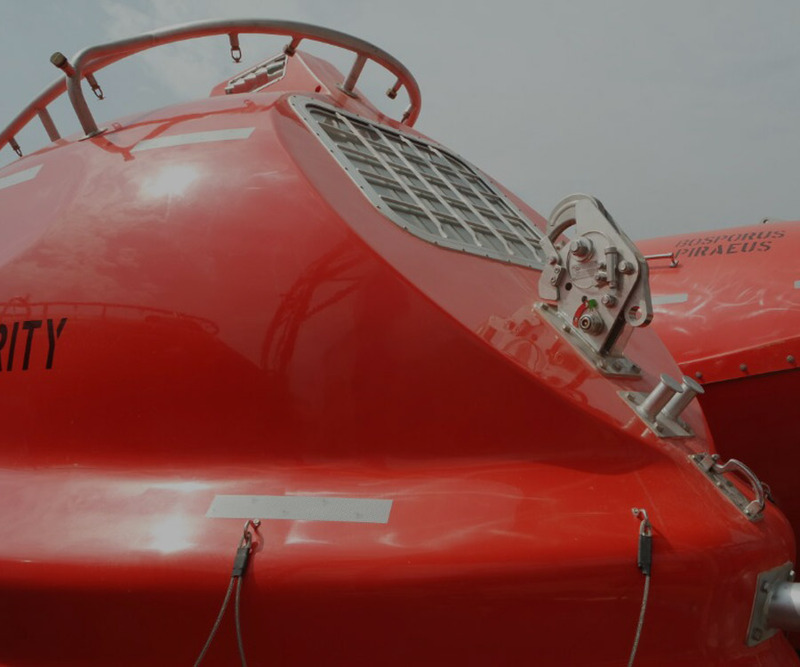 For further information and quotations, please contacts at service@hdboat.com. View or download our brochure in pdf here.